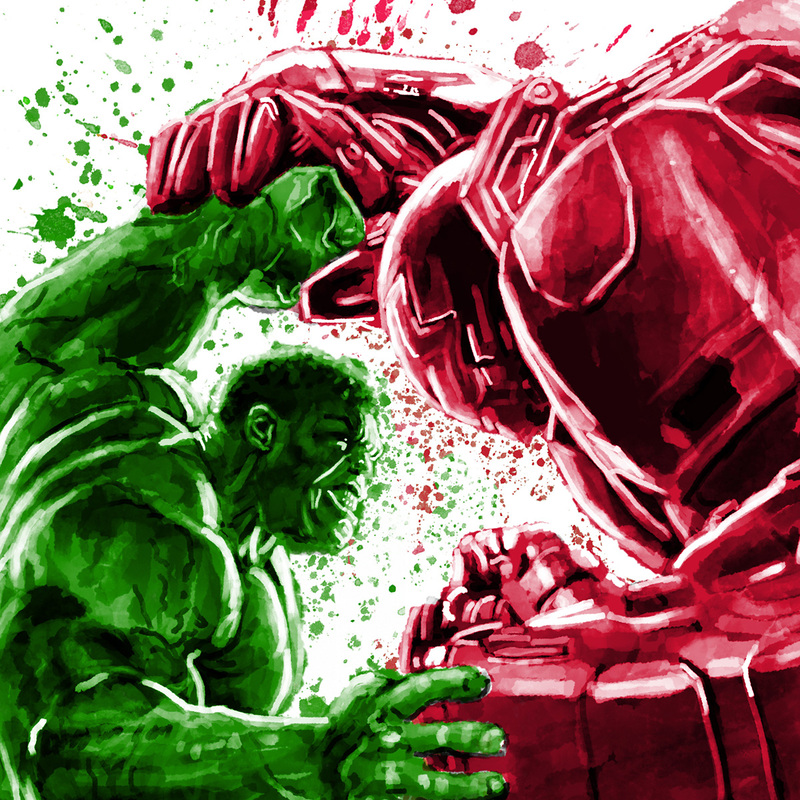 What happens when an unstoppable force meets an immovable object. 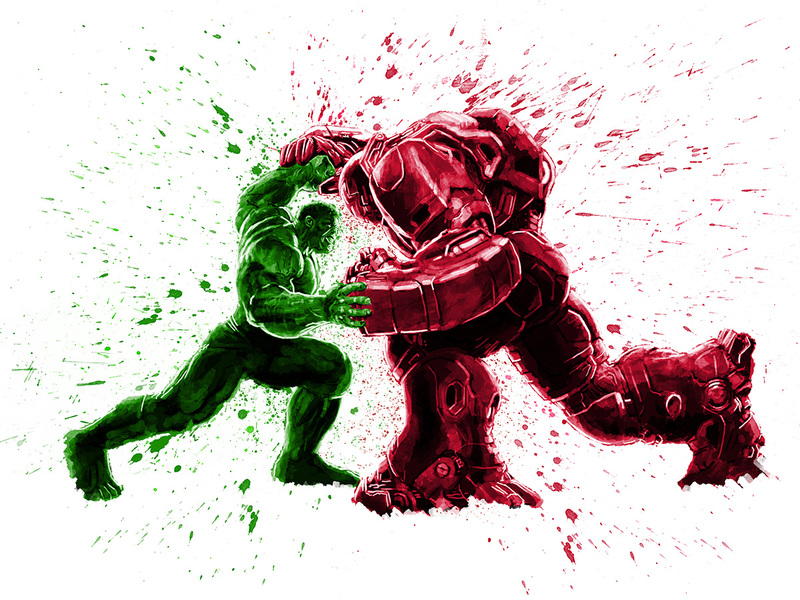 Depicting the titanic battle between the Incredible Hulk and Iron man (in Hulkbuster armour), this piece shows the power and force of these two Avengers. Using two colours only, creating a stencil-like look and feel. Contrasting with the white of the canvas to give an explosive impression. 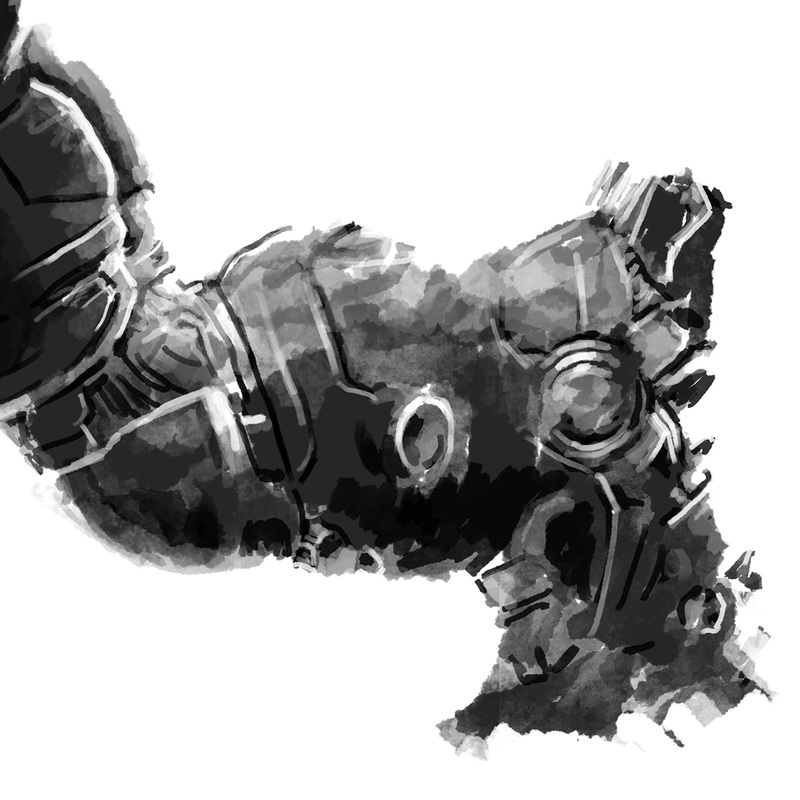 Using a mixture of brushes to create the multiple shades of light and dark. 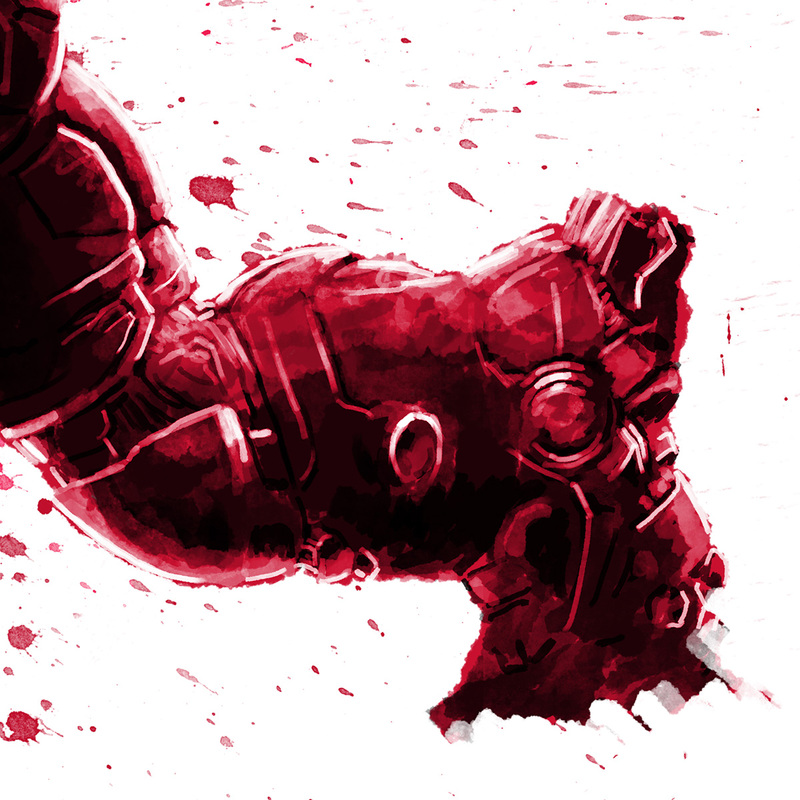 Followed up with colour for the two titans and splatter effects for the background..
A little experimental piece (to be followed up by my Age of Ultron video). This was a chance to test out camera shake and perspective within After Effects. 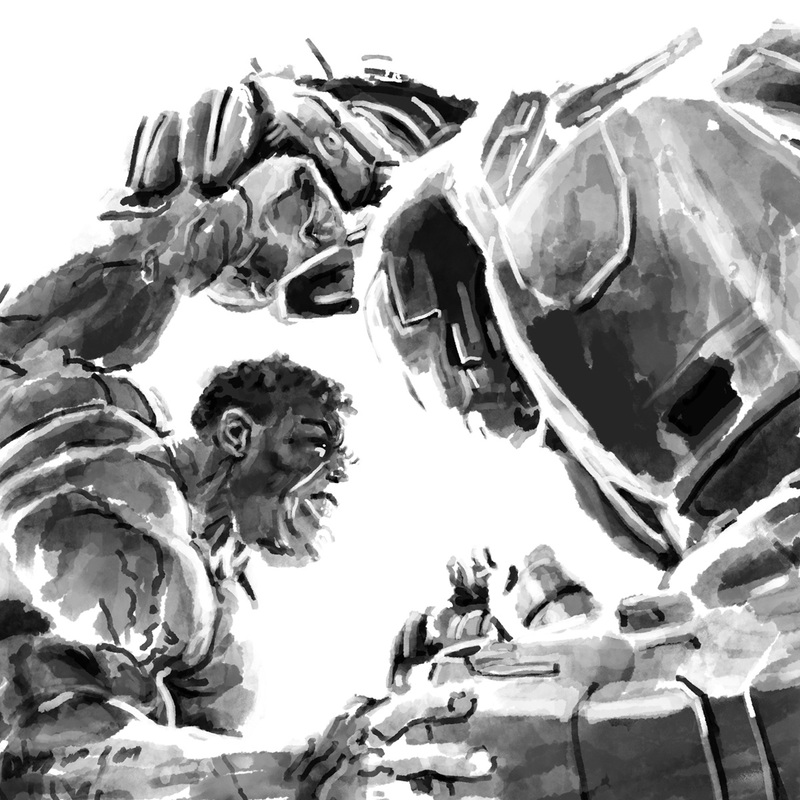 Giving an impactful piece that extra gut punch.